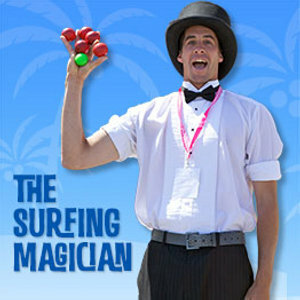 Come on down to the Santa Cruz Beach Boardwalk as they present afternoons with the Surfing Magician! Also known as Doug Hofkins, the Surfing Magician has more than ten years of professional and comedy magic experience, so you can be sure to expect an amazing show. Audiences of all ages will be delighted by his use of illusions, scarves, coins, playing cards and much more. He will be performing regularly throughout July and August.